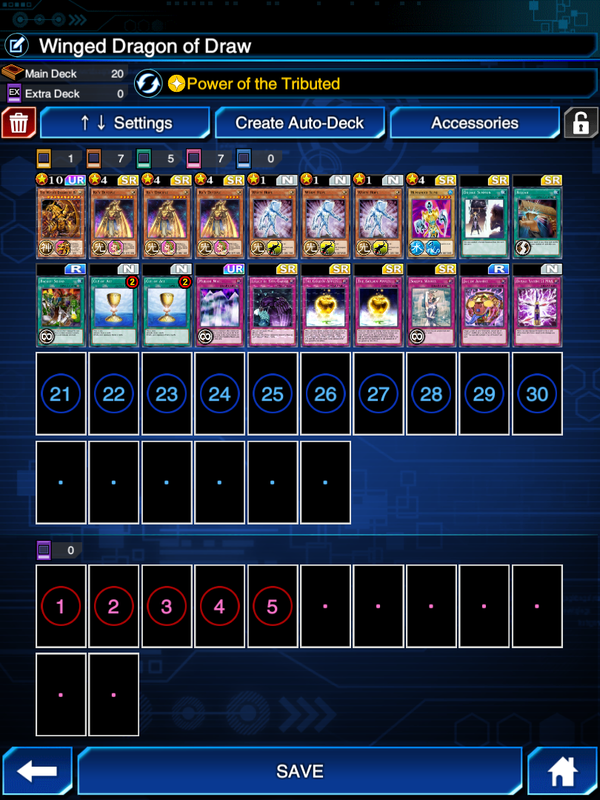 Information: This deck was created when I finally got my 3 copies of “Ra’s Disciple”. The thought behind the deck is just to draw as many cards as possible to be able to summon “The Winged Dragon of Ra” as quick as possible. Also note that I didn’t have all of the cards that I wanted to have when I created this deck, for example I would have wanted more Double Summons and I would probably have replaced a few cards. The Deck is pretty bad and I do not recommend you to use it.